It has been nearly two months since a gunman killed 17 people in a shooting at Marjory Stoneman Douglas High School, and the community is slowly healing. Shooting survivor Anthony Borges, who has been lauded for protecting his classmates during the shooting, has been among those in recovery. This morning, April 4th, Borges spoke up, revealing that he thought he “was going to die” when he shielded his classmates. Borges was shot five times in the legs and back as he blocked the door to a classroom, protecting nearly 20 other students inside. His family set up a GoFundMe page to help with the high cost of his medical bills. Now, after nine surgeries, including the removal of one-third of his lung, he has finally been discharged from the hospital. And in an interview with NBC’s Today, Borges said he was glad to be alive. "I think I was going to die," he told host Terry Sanders. 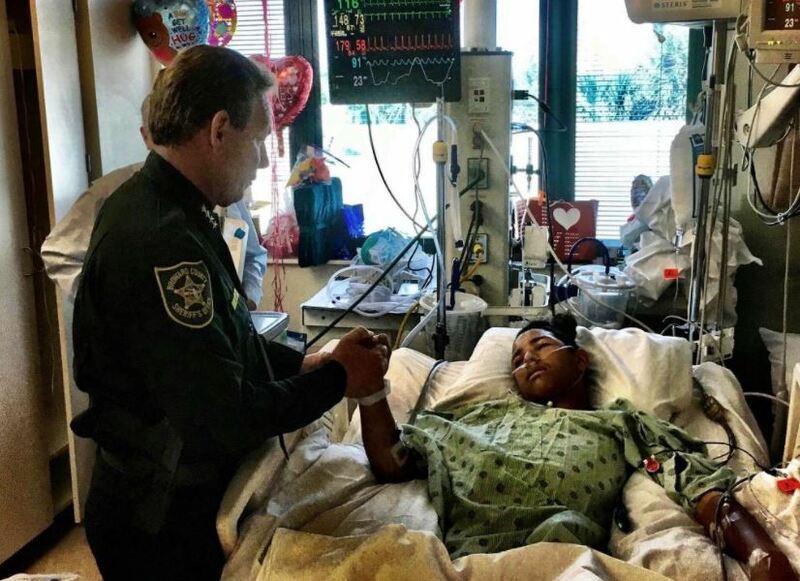 The 15-year-old has been celebrated by many as a hero. Sanders reported that Borges’s friends have nicknamed him “the real Ironman” for his bravery. But when Sanders asked Borges if he thought he had acted heroically, Borges simply shook his head. Even though he is home, Borges is still on the mend. Doctors told his family that he wouldn’t be able to use stairs for a while, so his parents moved to a first-floor apartment. But eventually, doctors think the teen will be able to play soccer again. Borges exhibited incredible bravery by protecting his fellow classmates. We’re glad that he has returned home, and we hope he makes a full recovery soon.